The guys over at Games.On have just published a interview with Modern Warfare 2's lead multiplayer designer Todd Alderman in which he talks about bringing Halo 3 like video sharing options to MW2 as DLC amongst a lot of other matchmaking, default class and other information. 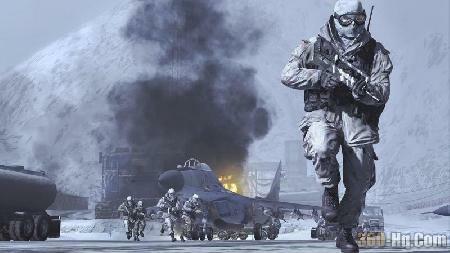 Modern Warfare 2 is undisputedly the most anticipated game of 2009. We were lucky enough to get an invite to Hollywood, Los Angeles, to get some hands-on time with the multiplayer half of the game, where we caught up with lead designer Todd Alderman. As expected, the online part of the game is amazing: a true evolution of what we experienced in the original and without a doubt the must-own frag-fest of the year. We hit Todd up with a few questions about matchmaking, Aussie lag issues and video sharing. Here is what he had to say. games.on.net: So, this is your baby? I’ve just been playing the hell out of it, it’s awesome! Todd Alderman: Yes it is my baby, and thank you. games.on.net: I have a concern though about the disparity between gamers that are about to play for the first time versus those that have levelled through the unlock system. With all these new features how do you ensure newcomers can come in and be competitive and not just be the cannon-fodder for dudes with red-dot sights and all the perks? TA: The first way we do it is by ensuring the matchmaking system is good. When we matchmake, we match you with players of your skill. So when it is your first time playing online you will be playing against people who, for the most part, are enjoying their first online game as well. We try to find people who are like you. Another thing we do is give the default classes a lot of stuff that you wouldn’t normally unlock until later. So every default class is a super pro version of that class. They are simply there so you can compete and have things that other people have, but which you might not get for a while in the create-a-class option. You can use these to level-up. For example, one of the classes has the new Tactical Insertion equipment option (a brilliant new device that allows you to mark your next spawn point) which you do not unlock for a while, but new players can experience it straight away. You might not know what it is at first, but when you see guys spawning all over the place you’ll start wondering, ‘why does that guy get to spawn wherever he wants, that’s not fair, how did he get that?’ That is definitely a big change we’ve made from the last game: everything that was in the default class last game is unlocked as you progress this game. We actually went to our resident pro players that are really, really good and gathered this great information. They told us what they used and why they used it, and helped us define which default class load-out would work best across all game rules. So there you have it gamers, from the horse’s mouth. It’s particularly interesting that a video sharing feature may be added via DLC down the track. While the lack of an option to region select is worrying, Infinity Ward believe their new matchmaking will make this a non-issue, and hopefully their Aussie employee will raise the alarm if necessary. Later on in the game session we managed to catch up with the networking lead for a casual chat about many things including the X Server, and he expressed enthusiasm about looking into it as a possible option for territories like Australia. We’ll keep you updated if we hear anything more. games.on.net: You mentioned matchmaking playing a key role: one of the big problems we face in Australia comes from our relatively low population and the inherent difficulty in finding local players that creates. This is intensified by the fact that playing overseas players doesn’t really work. It begs the question: can you customise your search with a country filter? TA: There is nothing in there that allows you to say, ‘I don’t want to play with anyone but people from my area,’ but there has been a lot of matchmaking and network optimisation we’ve put into the game to try and make sure that we find you the best possible game that we can. We have two Australians that work for us and one of them just moved back home so he is going to be a great source of information for us on your local market. But rest assured, we’ve put a lot of effort into making things work a lot better this time around. TA: (laughs) Um, no... we haven’t actually. Why, is it the talking thing? games.on.net: Well it’s more of a maturity thing, not just in speech but also gaming style and general world understanding? TA: Well we have a thing that we call Super Mute where if a guy or girl just will not stop talking during the game about something like, I don’t know, Harry Potter, you can just select their name and press mute, and he/she will be muted forever. Xbox has its way of doing that through the dashboard, but we enable you to do it in-game. You can just go right to the scoreboard and see the guy talking and mute. So when you get back to the lobby they’re still muted. Into the next game, muted. It’s just a way we can make sure that if someone is annoying you in a game, you can just turn them off. TA: No we haven’t actually, but it is something I might have to discuss with our networking guys. games.on.net: Bugger. What about the idea of video sharing: in games like Halo 3 it has gone down quite well with the online community, have you considered implementing it in Modern Warfare 2? TA: Yeah we looked at it... it’s not something we are going to do in the initial release. But it is definitely something we’ve looked at and thought about... we have it in our future to-do pile. games.on.net: Is it possible to implement a feature like that as DLC? TA: Anything could be DLC right now, so yeah. games.on.net: Very cool! I was wondering, with such a huge population on the original Modern Warfare, not to mention World at War, it worries me that the potential Modern Warfare 2 audience could be split across three games: could you not just merge the original maps and population into the new experience for a greater player pool? Would the old maps work with the new tech? TA: There’s definitely a reason why we can’t, although it is not a technical reason, it is a game reason. For the longest time we had Crash from the last game as basically our barometer map: as in, we would have a bunch of new maps cycling through a game session and then Crash would come along. You know, just to see how it works and how it feels compared to the old game. And it is insane the difference the new stuff makes. We could bring in the old maps with some massaging, but there are just so many new things in Modern Warfare 2 that break them. Simple things too like the Light Weight perk that makes you run faster, and you can combine that with Marathon and sprint forever. So you can run faster and forever on a map that wasn’t really designed for that. So in order to use any of the old maps we’re going to have to adapt, you can just take it as it wouldn’t work. You’ve now got all these kill streak rewards from the air that just wouldn’t work in most of the old levels too. On the flip side, there are a lot of things in the new maps which are custom designed around the new Modern Warfare 2 gameplay features. This includes having a lot more things in the environment which explode. games.on.net: Looking forward, how important is a long-term DLC strategy this far in advance? TA: It’s important, but the actual schedule is not something I am personally worried about at all now. At the moment I just want to get the game finished and everything I want it to be. Then as the next step I will start looking into what our DLC options are, and what we are going to do. TA: Thanks, I think you guys will enjoy it!